Ever heard of the most important days of Poland in England? Every May, London’s South Bank becomes a little bit of Poland boasting 20 food stalls, 3 bars and 40 traders. If you’ve been savouring the idea of eating some Polish pierogi or bigos, then this is the place to go to every year (other than Poland, of course). The festival, Days of Poland, celebrates Polish culture in general, but food is a main event. Besides folk music and arts, it is Poland’s tasty cuisine that steals the spotlight. On the downside, it only takes place once a year, so if you’re craving some goodies any other time of year, your best bet is to visit the delicious Polish restaurants that call London home. South Kensington is home to the Polish Hearth Club, where they host the delicious Polish restaurant Ognisko. The menu at Ognisko is ever changing, but amongst their selection you can find kaszanka, dumplings, marinated herring, veal schnitzel, amongst others. Another option for fine Polish dining in London is Autograf. The restaurant and take away has been around since 2008 and offers a wide array of home-cooked foods from traditional recipes, as well as a great selection of Polish flavoured vodkas, spirits and beers. 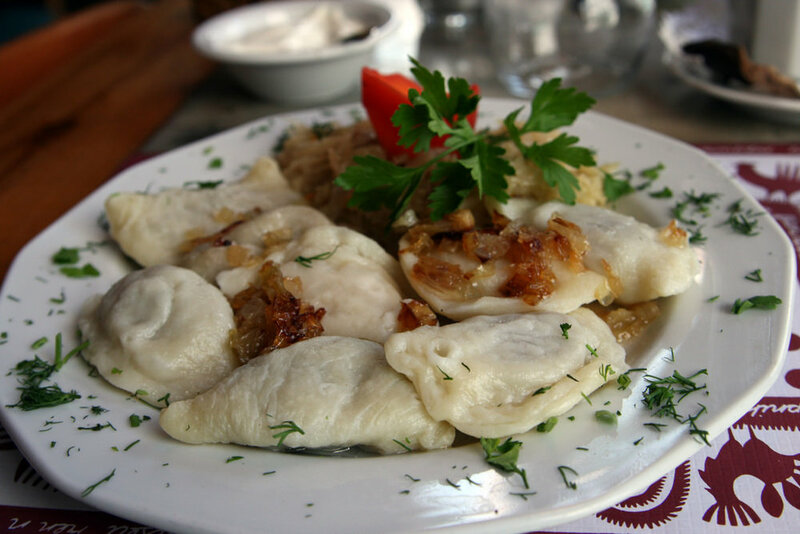 Their specialty is the pierogi, but they also serve placki, desserts and side dishes. Don’t forget you can also find delicious traditional Polish cuisine at Daquise, located in South Kensington. Since 1947, the restaurant has welcomed Polish guests and some important London personalities. According to their website, one of their regulars was no other than Roman Polanski who would enjoy a platter of dumplings and goulash. For a more casual Polish experience, you can check out POSK’s (Polish Social and Cultural Associaton) Jazz Café. Focused on bringing the best jazz musicians to their stage, the café is not only for live music, but it also serves the Polish community with facilities such as a theater, an art gallery, a library, a bookshop and, of course, the restaurant and café serving Polish delicacies.